Credit Suisse terminated XIV due to a greater than 80% drop in its indicative value on 5-Feb-2018. The final payout was $5.99 per share. The last day of trading was the 15th of February 2018. In the prospectuses for XIV, there are some disconcerting discussions about termination events. For XIV the termination event is triggered if the daily percentage drop exceeds 80%. I did some digging into these events to try and figure out how likely they are to occur. If you’d like to read a more general discussion about this ETN you can read this post. First of all XIV provisions for termination/acceleration relate to VIX futures, not the CBOE’s VIX index. The VIX relates to the instantaneous implied volatility of the S&P 500—which is a different thing. Volatility futures have contracts with different expiration dates. Typically the further out their expiration dates (e.g., 6 months from now), the slower they react to the day-to-day moves of the market. XIV is based on the two futures contracts that are closest to expiration, the administrators for these funds adjust their positions in these contracts daily to achieve an effective average time till expiration of 30 days. VXX does the same thing, except it is trying to be long volatility, not short/daily inverse % of volatility. When trying to understand XIV you can view them as being a short position in VXX, or tracking the opposite daily percentage move of VXX (XIV). VXX is not as volatile as the VIX index. On a day with sharp market moves, VXX will typically move about half the percentage move of what VIX does. VXX can still make big moves, however—one day during the May 2010 Flash Crash, it jumped almost 25%—the VIX on that day jumped 46%. With XIV termination (or “acceleration” in marketing speak) relates to daily percentage moves. If VXX jumped more than 100% in a day, then if VelocityShares didn’t terminate XIV its notational value could go below zero. They avoid this particular unhappy situation by terminating the fund if the daily move of VXX is 80% or more—although losing 80% in one day would still be plenty traumatic. 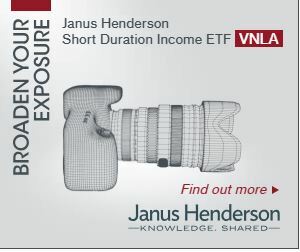 Just to be clear, this fund isn’t tied directly to VXX, but rather the underlying futures contracts, but I believe VXX is a good proxy for the situation. The termination risk for XIV appears to be limited to market crashes worse than the Flash Crash. Two examples that come to mind are the 2009 crash and the October 1987 crash. VXX didn’t exist for either of these. I have analyzed VIX data (or simulated data) since 1992—there were 20 days with VIX jumping over 30% (previous day close to intraday high) during that period. The highest percentage jump over that period was 70.5% on February 27, 2007. There were three days with VIX jumps over 30% in the 2008/2009 crash, and during the Flash Crash. If VXX had existed during this time span and held to its typical behavior of 50% of VIX’s move it looks like the XIV termination event would not have occurred, but obviously, it would have taken heavy losses on those days. If you are investing significant amounts of money in these products it looks prudent to at least hold some OTM VIX or VXX calls. These would provide some insurance against these infrequent, but dramatic events. Thanks to Steve, who commented on the first version of this post pointing out that the ETN providers were probably not looking out for the investor, but rather for their own hides in incorporating these termination events.